In mythology, the inner journey to release the conditioning of inherited cultural beliefs is essential to adult life. It is the journey of flowing with life's intelligent, self-reflective movement that expands inward/outward, while transforming all that it touches. Moving within the rhythmic "dance" of the cosmic mind that the serpent embodies, a former "truth" is continuously shed to know a new "truth." 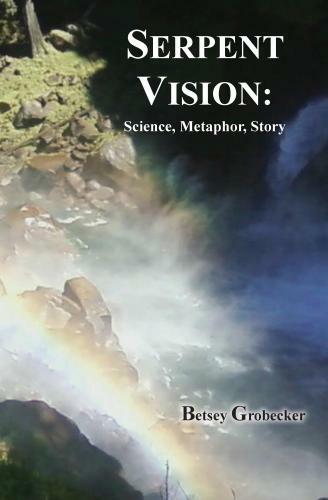 This book presents the sciences and spiritual traditions that served to reveal, at various points of my journey, the wisdom inherent to life itself. I also share significant life events that show the "messiness" of my inner journey as I continually shed cherished truths, identities, and support systems that no longer served me. Sacred, subtle energies whose beauty humbled me were expanded into, as well as potent energies of fear and doubt that led me to frequently question my sanity in choices made. This book serves to inspire those who are ready to question taught truths, to go deeper into their questioning and to encourage those already on their journey, to stay with the process of transformation as its inevitable challenges are met.